Our thanks to Tom Atkins of Buffalo, N.Y., for this Golden Gift. Thanks also to Bob Koshinski for background. WKBW War of the Worlds, 1971 is a re-creation of an adaptation. 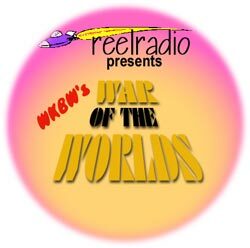 The original WKBW War of the Worlds was broadcast in 1968, on the 30th anniversary of the Orson Welles classic. The 1968 adaptation featured Sandy Beach (as "the DJ") and Dan Neavereth read the opening and closing scripts. In 1971, Program Director Jefferson Kaye (d. 2012) edited the original, wrote and read an updated opening and closing, and replaced Sandy Beach with Jackson Armstrong (d. 2008). This program was rebroadcast on WWKB in Buffalo in October of 1998.